Tips to keep your generator running in tip top shape, steps to insure proper generator service. 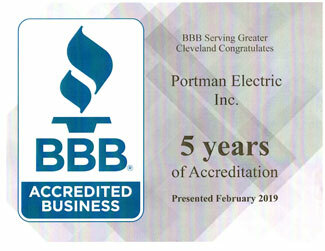 Ohio Generator Experts, a Division of Portman Electric finds that its customers invest in generators for various reasons. Some of those reasons can be for commercial usage if they’re operating a business that requires refrigeration of perishable products. Many of our residential customers live in remote areas of Ohio and invest in home generators for added security. However, of what benefit would it be if after installing the generator it wasn’t properly maintained. At Ohio Generator Experts we are always thinking of ways to continue to assist our customers so we created a 9 point checklist to help to keep your generator functioning at its optimum performance level. Your generator will tend to collect grease. Take a degreasing agent and a rag and clean your unit. Keeping your unit clean will help you locate any leaks that develop. Is there old gas left in your machine? Gas left over a long period of time can become sticky and block up fuel lines, fuel filter, the carburetor and other parts. So if this is the case with your unit, you will want to check the manufacturer’s manual because some units can just be drained and new fuel added while others may require replacement of older lines, fuel filters along with a cleaning of the carburetor and the carburetor tank. Maybe you haven’t needed to run your unit this year, so why do you have to change the oil? Remember, we are talking about keeping your unit functioning at its optimum level. It is always a good practice to change your generators oil and oil filter yearly. Prior to removing a spark plug from the socket you want to thoroughly clean the debris from around the old spark plug to prevent it from falling into the cavity once removed. Inspect the spark plug to see if there are cracks or deposits in the porcelain, if there are, then replace it. The manufacturer of the generator requires specifics gaps between the spark plugs. Prior to the spark plugs being reset, these gaps must be adjusted to meet those specifications. Test the strength of the battery using a battery tester. If the power outage is too weak then replace the battery. If the power strength is sufficient then check the battery for corrosion build up. If there is build up on the battery, then use a solution of baking soda and water to clean this corrosion away from the battery contacts. Air filters can vary from one generator to the next. So check your manual to see where your generator’s air filter is located and how it is to be replaced. 7. Check the Fuel Filter. There is an easy step to determine if your generator’s fuel filter needs to be replaced. Most fuel filters are clamped in-line with the fuel valve. Remove the fuel filter and look at it. If you can’t see light through the filter then it is time to replace it. A simple way to check your generator for leaks it to place it on cardboard and let it run for a while using soapy water to check it for any leaks. Maybe you might not need to use your generator regularly but as a rule of thumb, you should run your unit at least once a month for 30 minutes. If you are going to store your unit then take the gas completely out or run it out. 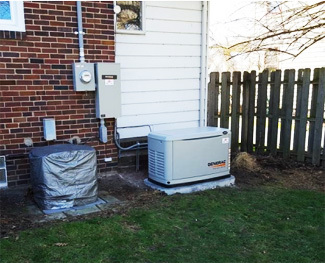 These steps are just to be a gentle reminder to help our Ohio Generator Experts customer keep their investment running at optimum performance. We don’t want anyone to become so overwhelmed with the checklist that nothing is done to maintain their unit. So if you feel frustrated or in above your head, just give us a call and we will send out one of our expert technicians to perform these maintenance tasks on your unit to help keep it running for years to come. We provide a complete generator service including repairs, warranty, installation and maintenance to homes and businesses in Ashtabula County, Cuyahoga County, Erie County, Geauga County, Lake County, Lorain County, Portage County, Summit County, and Trumbull County.